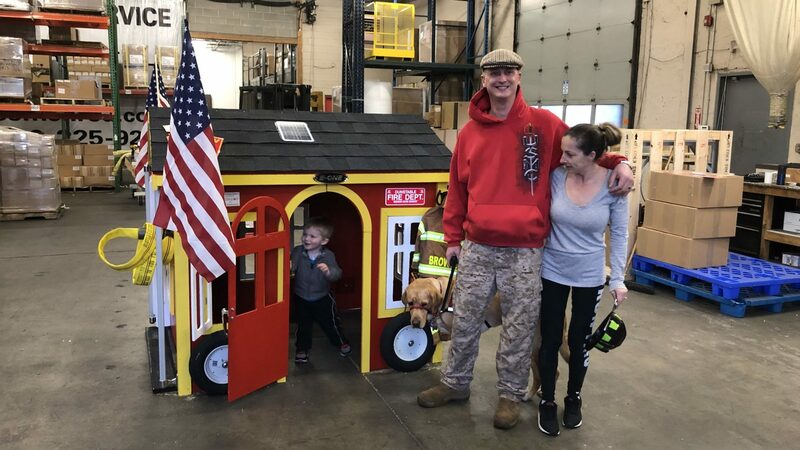 In calendar year 2018, there were many spectacular playhouses that were built as part of our Operation Playhouse program. 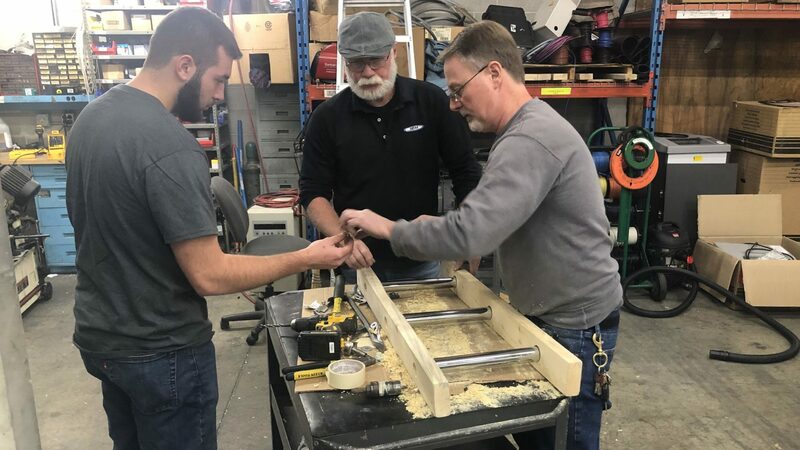 Our staff and volunteers were so impressed by all of the builds, but the partners below went above and beyond planning in advance, and then executing, their playhouse design. 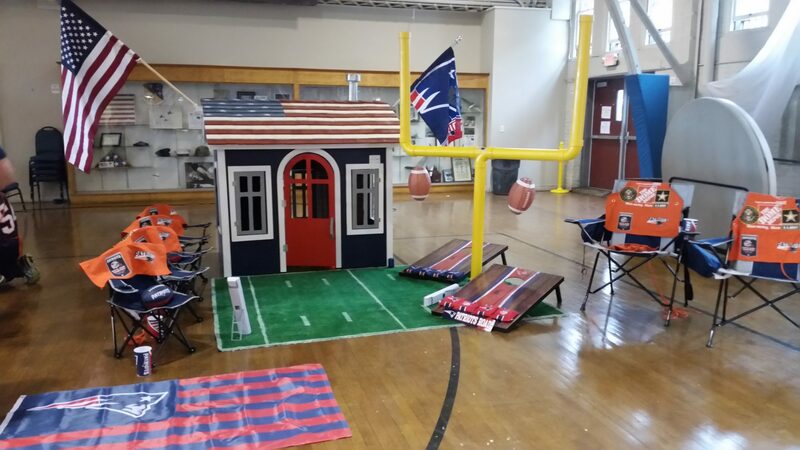 This was a fun and friendly competition designed with the hope that it will inspire all of the 2019 Operation Playhouse builds! 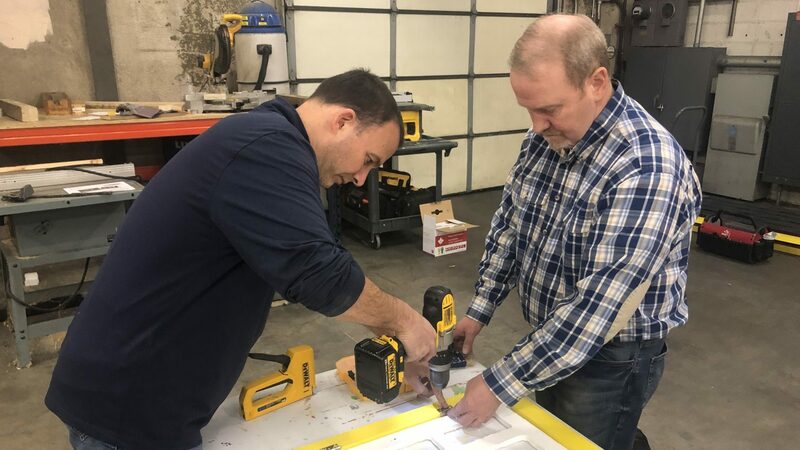 We are so thankful to our sponsors who built with us last year. *Voting is now closed. 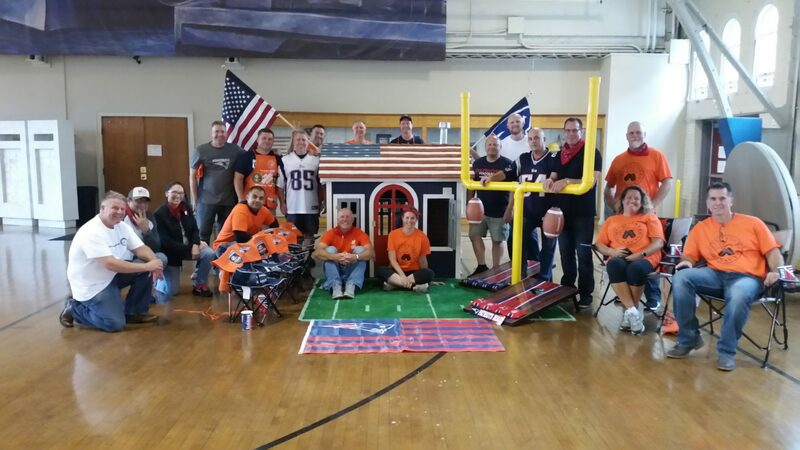 Thank you to everyone who took part in our 2018 Operation Playhouse contest! 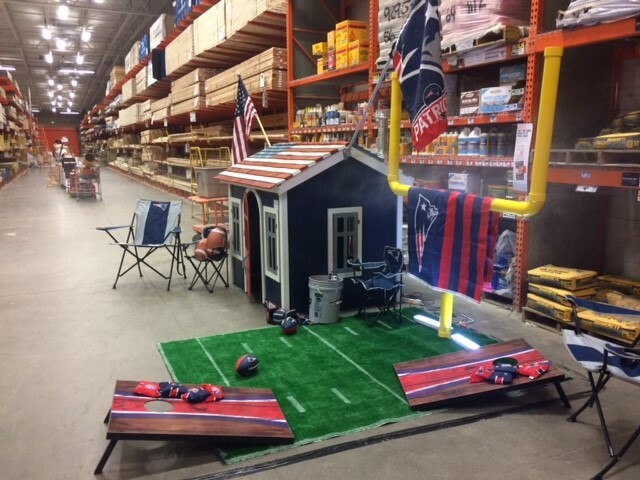 Although all of the playhouses Home Depot built this year were great, one of them, a New England Patriots themed playhouse, went above and beyond. 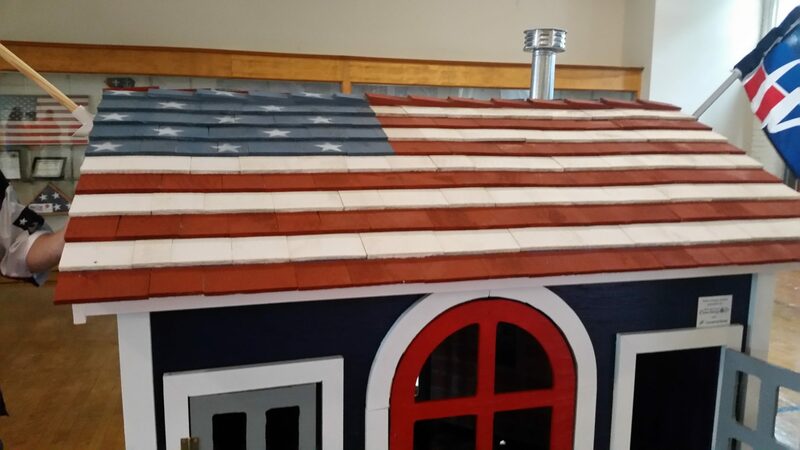 The playhouse had numerous details including: hand painted wood shingles for the roof in the design of an American flag, a working electric fireplace, and a faux brick interior wall with a working electric fireplace. 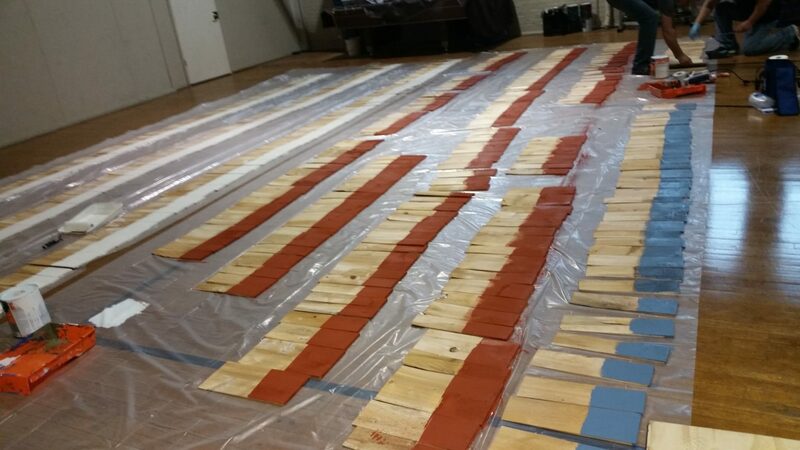 The fireplace allowed smoke to come out of a chimney that the team installed! 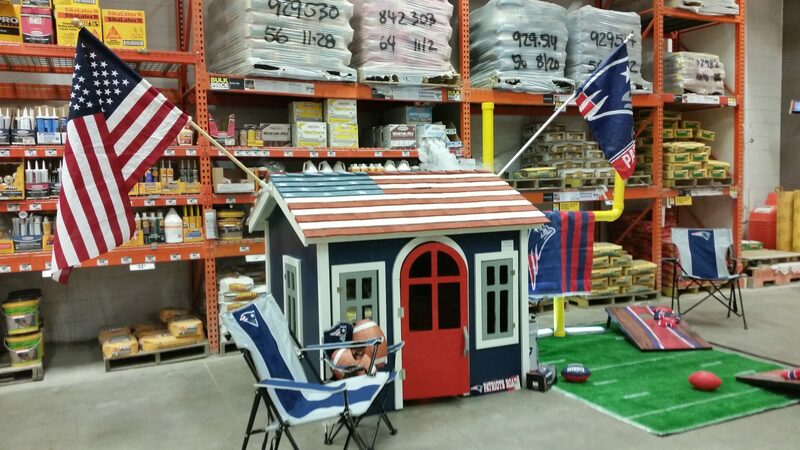 The exterior of the playhouse was decorated with the ultimate New England Patriots tailgating decor and supplies. 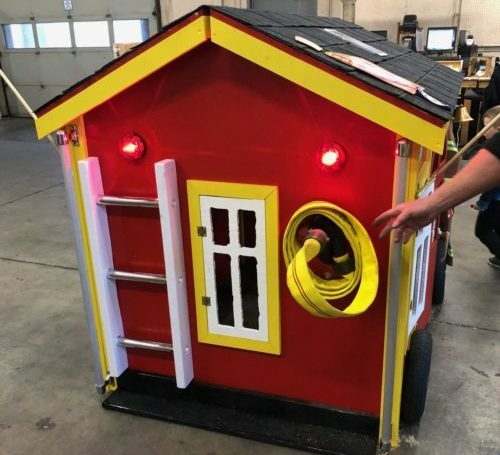 SEM built our first ever fire truck themed playhouse! 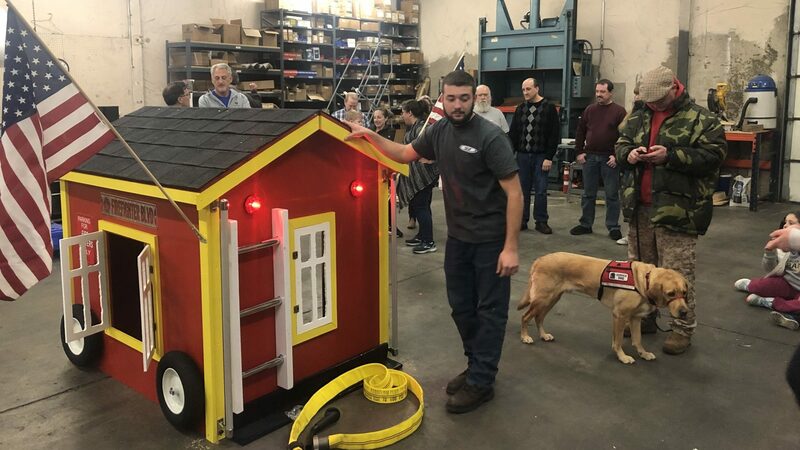 The team took part in the various tasks that are typical of a playhouse build, but they didn’t stop there—they built a custom ladder, installed brake lights, a fire hose, rotating wheels, a back bumper, a steering wheel, an actual firetruck door handle and even more details. 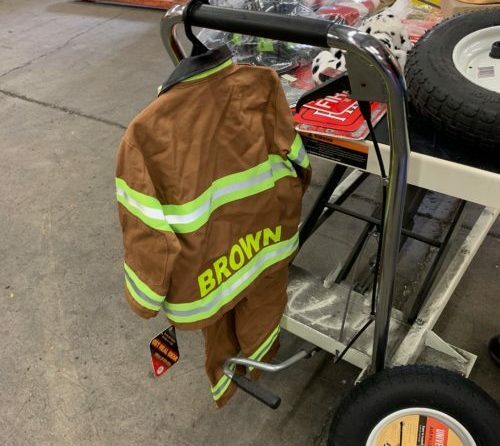 Many of these accessories were authentic firetruck items donated by the Boston and Dunstable fire departments. 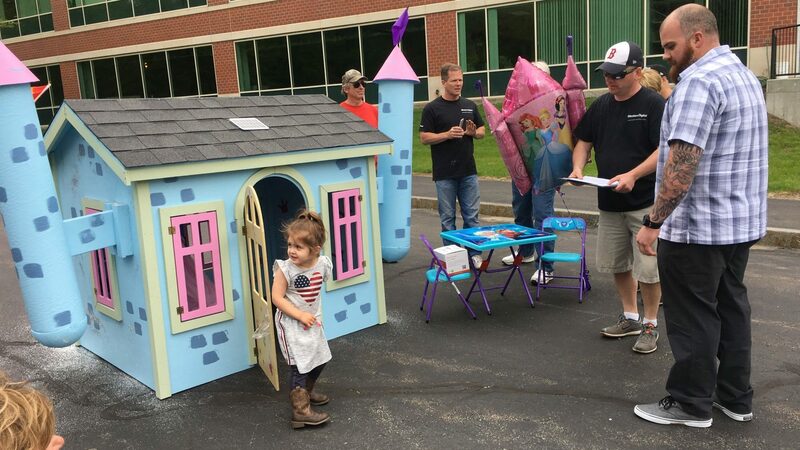 Western Digital took our Princess themed playhouse to a whole new level—literally! 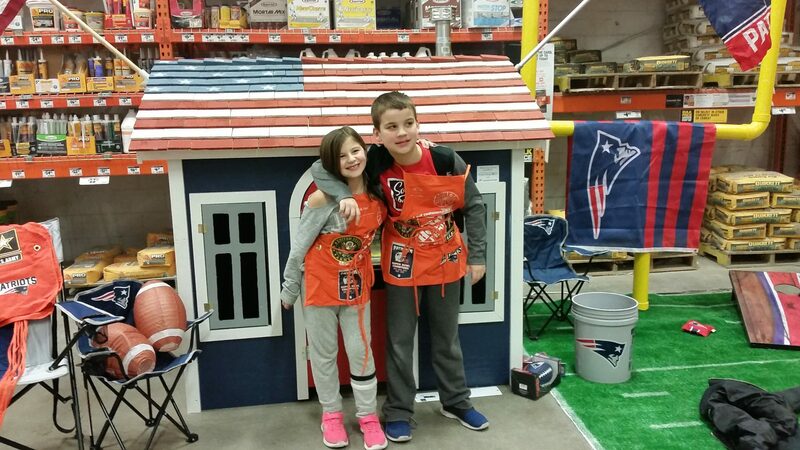 Two additional pieces were designed and crafted for this very special playhouse—castle turrets. 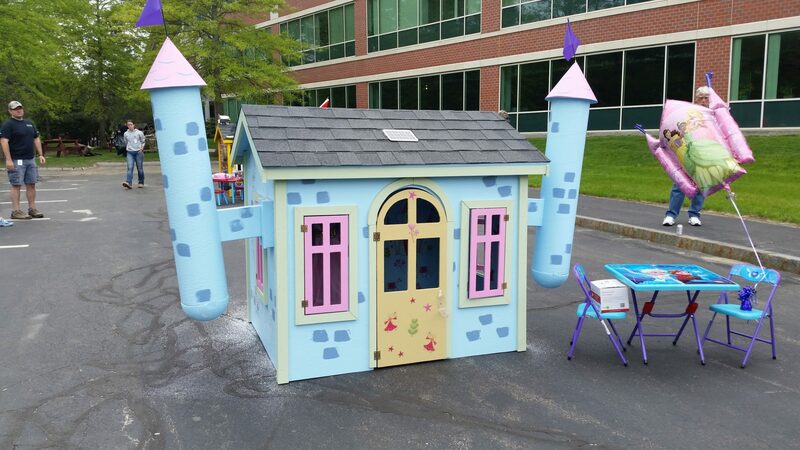 These turrets were added to the sides of the playhouse giving the Princess theme a truly unique look. The walls and turrets were painted with fine details. The darker blue squares were added to the bright blue walls and turrets to give the illusion of bricks. 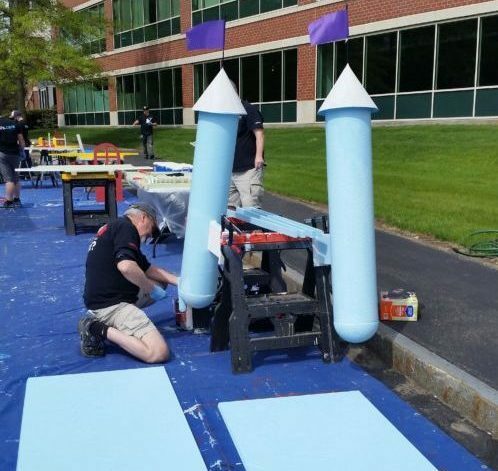 Finishing touches included flags on top of each turret, a Disney Frozen Anna and Elsa table and chair set, Princess stickers on the exterior and interior of the playhouse, along with a Disney Princess balloon!